Located across from Chicago’s prominent Lincoln Park, the new Giordano Dance Chicago building consists of dance studios, retail space, and a rooftop terrace. The site, located at 1754 North Clark Street, contains a rich history within the community. 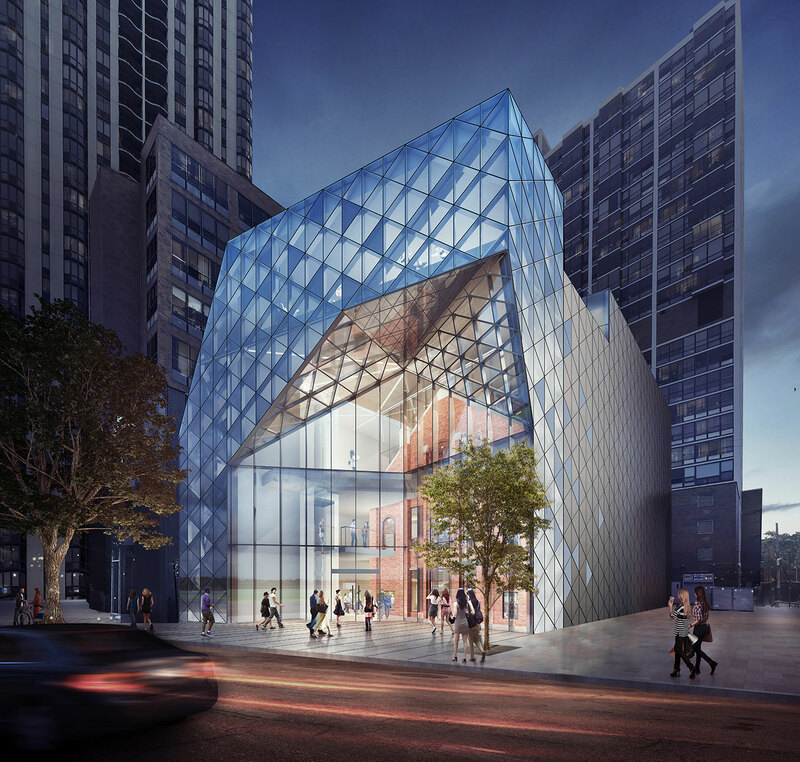 Honoring the history and heritage of the site, bKL sought to create a modern and refined interaction between the existing church façade and the spirited program of Giordano Dance Chicago. Inspired in part by stained glass windows that adorn religious structures, the geometric exterior is a modern interpretation of such an artistic expression. 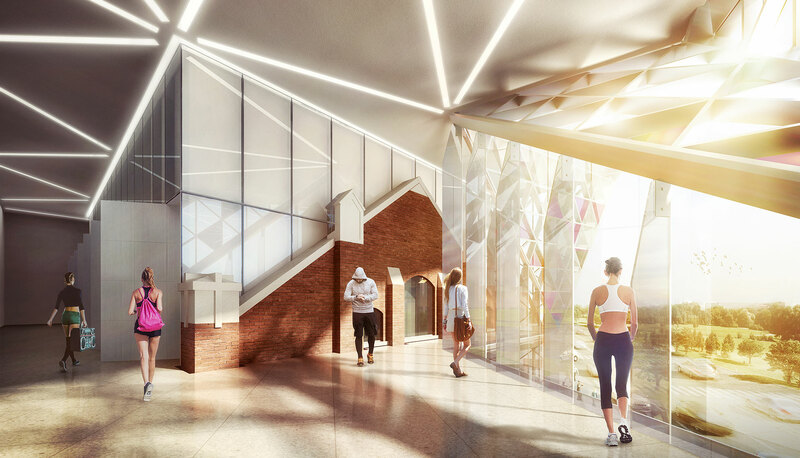 As America’s original jazz dance company, it was imperative to design a modern building that represents the magnitude of Giordano Dance Company’s place in the dance world yet honors the historical structure it is succeeding. The façade design creates a juxtaposition between the old and the new and caters to the materiality of the old brick and the new transparent glass form. 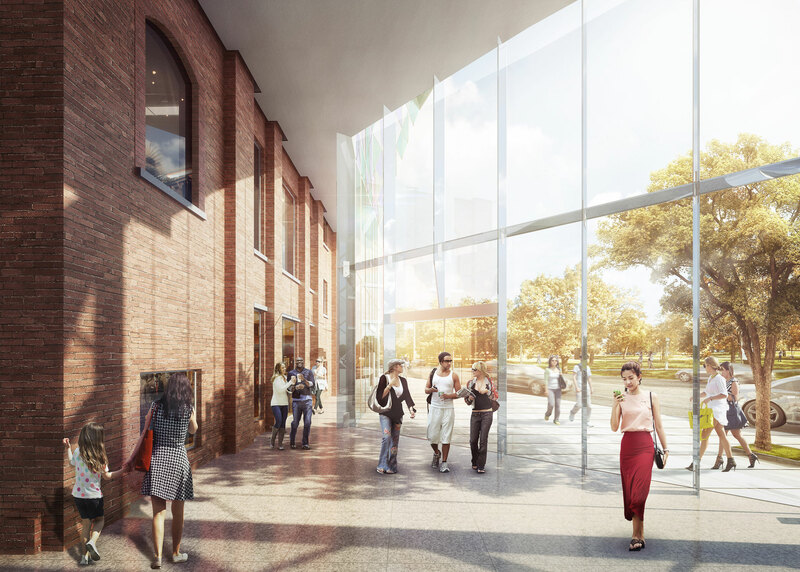 A grand, double-height entry welcomes visitors and invites passersby to explore the building’s transformative nature relating the church’s historic pitched roof form to its new modern glass enclosure.